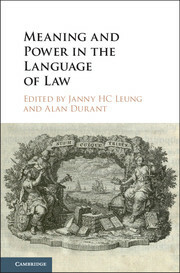 ICYMI: Meaning and Power in the Language of Law (Janny H. C. Leung and Alan Durant, eds., Cambridge University Press, 2018). 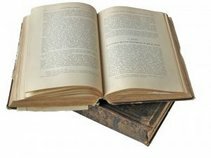 Here from the publisher's website is a description of the book's contents. Legal practitioners, linguists, anthropologists, philosophers and others have all explored fundamental challenges presented by language in formulating, interpreting and applying laws. Building on centuries of interaction between legal practice and jurisprudence, the modern field of 'law and language', or 'forensic linguistics', brings insights in linguistics and related fields to bear on topics including legal drafting and translation, statutory interpretation, expert evidence on language use and dynamics of courtroom interaction. This volume presents an interlocking series of research studies engaged with different legal jurisdictions and socio-political contexts as well as with the more abstract notion of 'law'. Together the chapters, written by international leaders in their fields, highlight recent directions in research and investigate in particular how law expresses yet also conceals power relations in its crafted use of words and in the gaps and silence between those words.